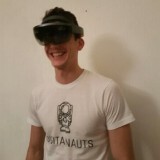 Director https://digitalnauts.co.uk. Lover of technology, learning, VR, games, outdoors, DnD, Karate and always keen to meet new people! How much does the development of a VR Training application cost?